Tastefully furnished this delightful cottage offers the perfect mix of heritage charm, contemporary design and modern convenience. The property enjoys a central location just two blocks from the CBD allowing an easy stroll to shops, cafes, restaurants, country pubs, parks and attractions. Douro Cottage is a fully self-contained 2 bedroom house. 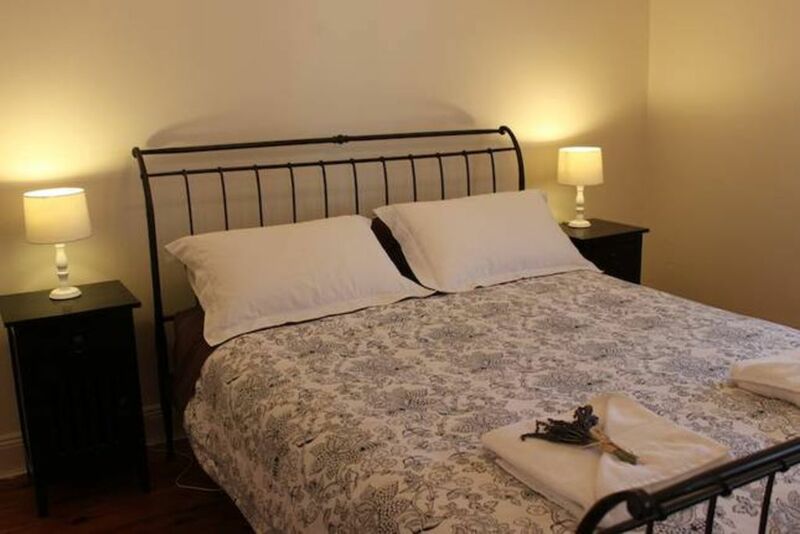 Both bedrooms comprise of queen size beds with wool quilts, electric blankets and all linen is provided. The cottage is ideally suited for two couples or a family of 4, however the fold-out sofa lounge allows up to 6 people to stay. The living area is open in design and features a reverse cycle air conditioner for all seasons. The kitchen is spacious and modern with stainless steel appliances. Stroll to the local farmer's market and purchase some fresh produce. Enjoy drinking a local Mudgee red wine with friends or watch the children play in the enclosed backyard. Late check outs are available on request at no extra cost, allowing you to sleep in and enjoy the morning before packing up and heading home. Please note pricing is based on 2 adults sharing 1 room. The use of the 2nd bedroom is an extra $60/night. Comfy beds and well equipped accommodation. Would be good to have wifi and better access to off street parking. Also fly screens on the doors so they can be open for ventilation and avoid use of aircon. Highly recommend this place, walking distance from town centre and very comfortable. Lovely and very clean. Equipped with everything you need. We had a lovely weekend thank you. Overall very good. We thoroughly enjoyed our stay. Very clean and welcoming.